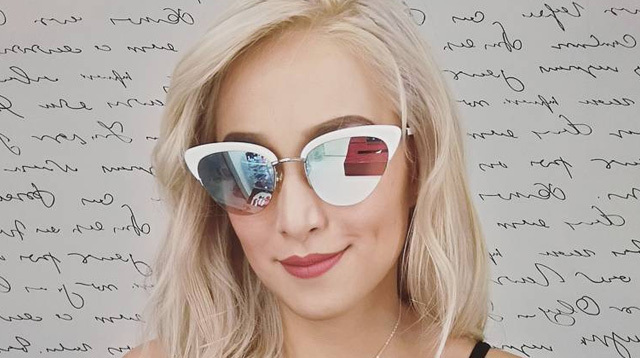 Cristine Reyes Just Dyed Her Hair Blonde! Freaking TF out right now, because Cristine Reyes is now blonde! The actress took the plunge and dyed her tresses a striking platinum hue—and she legit has never looked better. As a reference, here’s how Cristine used to look, back when she still sported brunette hair. Beautiful, but not particularly edgy, right? Now, brace yourselves for Cristine Reyes 2.0! ANG GANDA. Her dye job plays up her sultry, vampy side—doesn’t it look fab with a crisp red lip? Daenerys Targaryen, is that you?! According to Cristine, going blonde is just the first for her and her sisters-in-law, Hannah and Zhara Khatibi. They’ll be doing even more challenges and will be sharing their hair-coloring experience on YouTube. Since getting blonde hair, Cristine's already being more experimental with her makeup looks. Just look at that bold blue pout!